Go wild wearing this gorgeous necklace set. The necklace has a silver chain embellished with yellow brown faceted beads looking like cat eyes sparkling in the darkness. 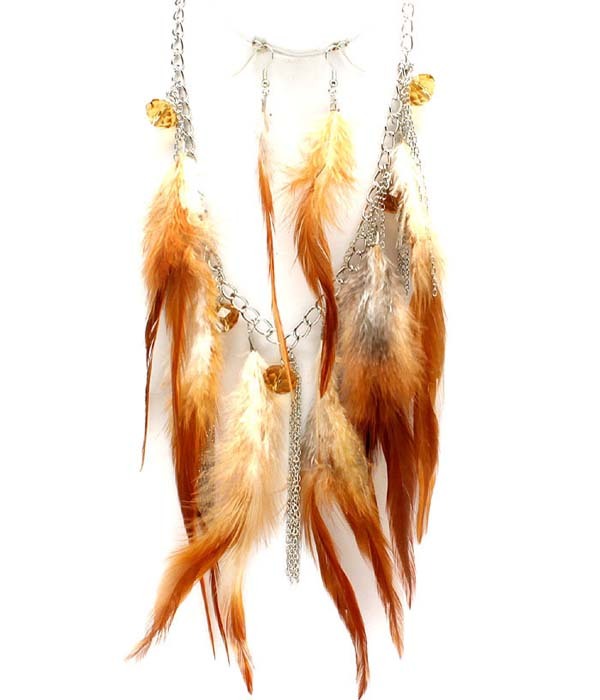 Soft brown feathers add catlike vibe to the accessory. Great value, high quality and popularity all combine to make this necklace a 'must have' item!